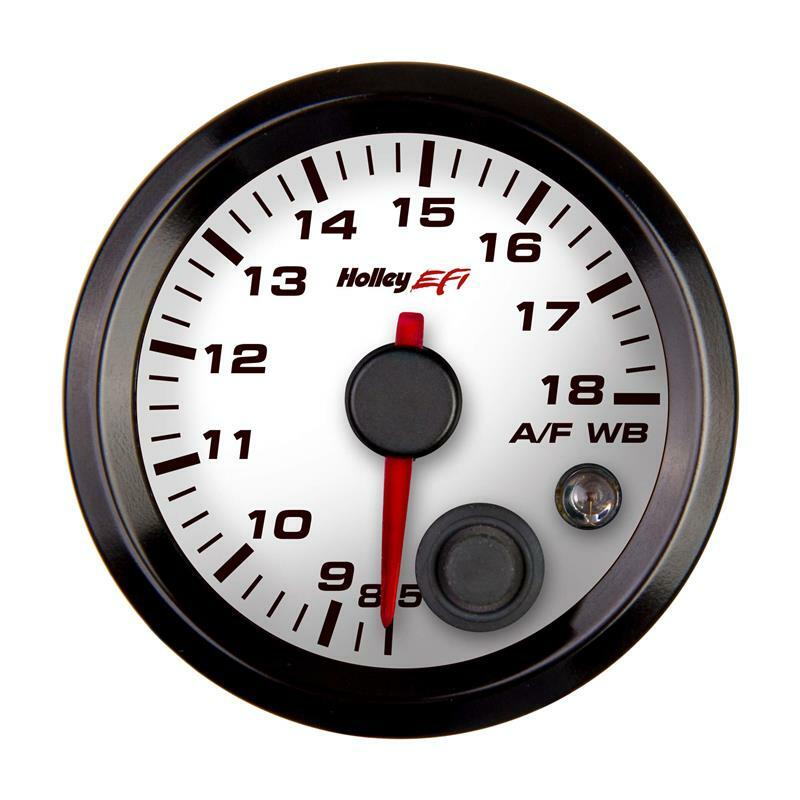 Holley WideBand A/F Gauge UNIVERSAL - Pann Auto Performance - San Diego largest aftermarket automotive performance parts - What do you drive? Holley is pleased to announce newest member of its very successful analog-style gauges with the release of a NEW fully standalone 2-1/16” Air/Fuel Wideband O2 Gauge Kit. This highly accurate and feature packed unit is designed specifically for use with all EFI or carbureted systems and available in both black and white face versions.